The Ward Councillor of 114 Zandspruit accused the DA- EFF Coalition of frustrating service delivery in townships and informal settlements led by ANC Councillors. He says there is nothing tangible to show progress or development in his ward. Councillor Victor Mafinya says the ANC administration had plans put in place to develop the ward and lives of residents. He claims that there were plans to bring electricity to the people of Zandspruit extension 16. Mafinya stressed that it now seems to be taking way longer than it had to under the new administration. Mafinya says he even engaged the community task team, which was appointed to look into bringing electricity in the ward. He claims the Zandspruit Community task team accompanied him to the office of the MMC for infrastructure last month to follow up on the electricity project. ”He was not there and disappointingly enough the people we found in his office said they know nothing about a project of bringing electricity to Zandspruit.” stressed Mafinya. He further criticized the DA – EFF led administrating of inconsistency in terms of the leadership. ”This administration keep changing leaders from time to time, which make it impossible for service delivery to take place. We find ourselves reporting the same issues to different people in the same office” Complained Mafinya. 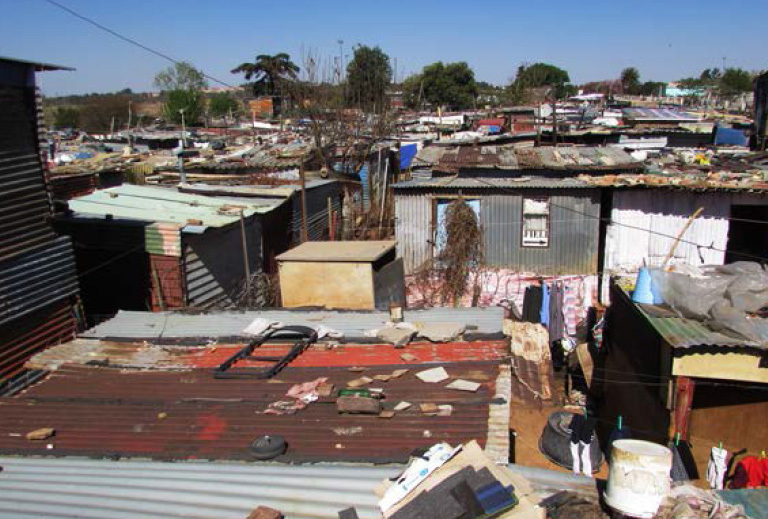 Enos Maake who is a concerned resident of Zandspruit, also a member of Zandspruit Community Movement admits that the change of administration in the City of Johannesburg frustrated development in their area. 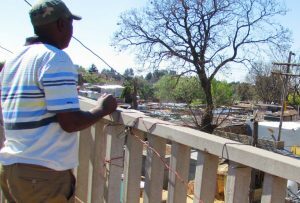 Maake says even when funds were allocated to bring electricity to Zandspruit, still the project did not succeed. He said there was a relocation that needed to take place before the project start but the City of Johannesburg failed, as a result the budget was lost. He also showed concerns about political games that hinders development. “Politicians are fighting for positions and political influence but the community is suffering. When others campaigned promised change but in their administration we have seen nothing but frustration.” Said Maake. Maake says the first budget was not used until the financial year passed, which led to the budget being lost. He says now the Zandspruit Community Movement is trying again to get another budget allocated for the electricity project. He says there is a very big possibility that this attempt can fail again, because they were told that the City of Johannesburg does not have money to assist with the relocation of toilets occupying the two metre municipal spaces. Zandspruit EFF Secretary Gift Mkasi said the City of Johannesburg had nothing to do with the electricity project because it is in the hands of national government. Mkasi refuted the councillors’ claims of being ignored by the DA led administration. He accused the councillor of not having any evidence to back up his claims of being ignored by the DA led administration. “If he had a problem he should have told us as Economic Freedom Fighters and we would have taken the matter forward. Since he is not saying anything to us we will hold him accountable for any failure of service delivery. This is nothing but political games of the ANC.” Replied Mkasi. Mkasi also blamed the delay of the project to some community members, who do not want to be relocated demanding for compensation for their houses. “No one here was given a stand to build a permanent structure, so I do not understand why people demand compensation. This is exactly what delays the project.” Concluded Mkasi.